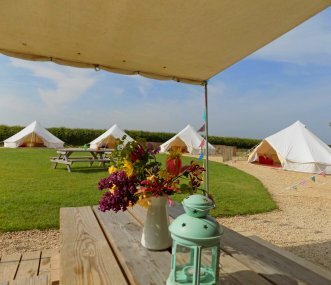 The Farm Camp accommodates from 12 to 20 in large bell tents on 2 sites offering a truly natural, comfortable escape. 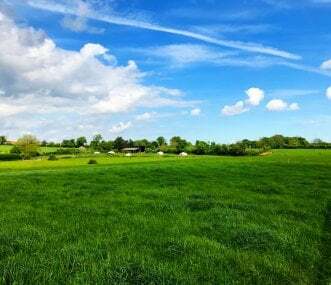 Set in a quiet young woodland, on a working farm just 5 miles from Bath. 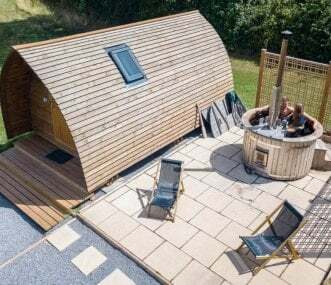 2 and 4 berth camping pods, fully insulated with TV, heating, fridge and kettle, available all year round. Includes free use of indoor heated swimming pool and Jacuzzi spa. Sleeps up to 40 in 11 pods. 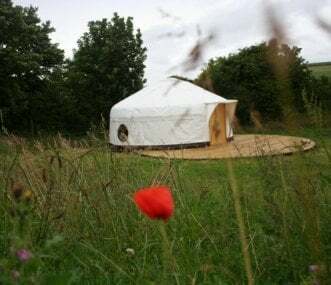 Tremeer Farm offers luxury yurt holidays and stunning Bunk Barn. 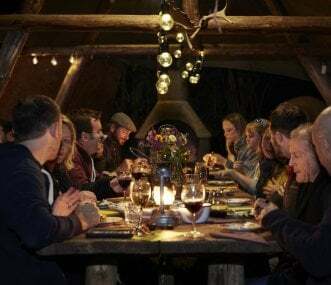 Perfect for groups or family reunion. Close to stunning beaches. Wood fired hot tub, wood-burning stoves, camp fires & large play barn. 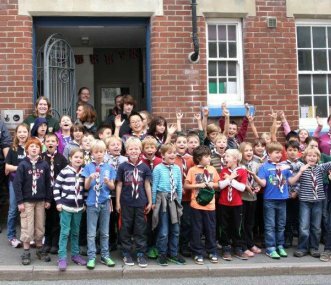 The Hub is a great venue for residential stays for groups who want to be town centre based. 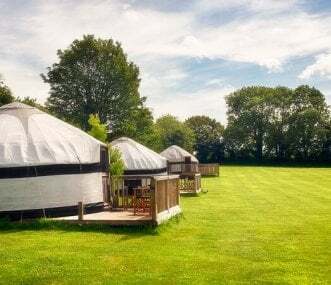 This 'indoor camping' experience, with great facilities, has walking access to all the tourist attractions. 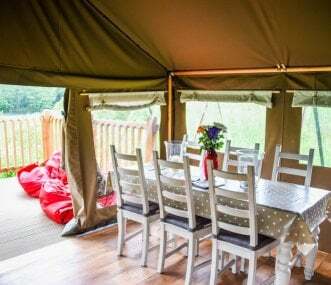 Stunning luxury glamping accommodation - yurts, safari tents, geodome and excellent facilities providing the perfect weekend or midweek escape for family holidays, group celebrations and weddings.